Opened in October 2013 the GW Fitness Trial has 15 stations on a 1.5km running route around the site. The varied equipment uses a combination of body weight and resistance to give you a full body workout whilst enjoying the outdoors. Each station will have a signage displaying correct use and then the route to the next station. 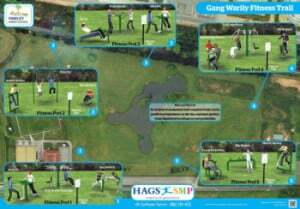 The equipment will be FREE for anyone to use and is part of Fawley Parish Councils commitment to sport and leisure.